Right from the start, you will spend much of your time as a Senior Associate Risk Consulting working on the premises of prestigious (and international) firms. You will help our clients manage their strategy implementation and the many challenges that this entails. Would you like to be part of a young, dynamic, fast-growing multidisciplinary team that solves complex problems for large and medium-sized national and international firms? Do you want to leverage your ideas and abilities to boost the success of commercial organisations? 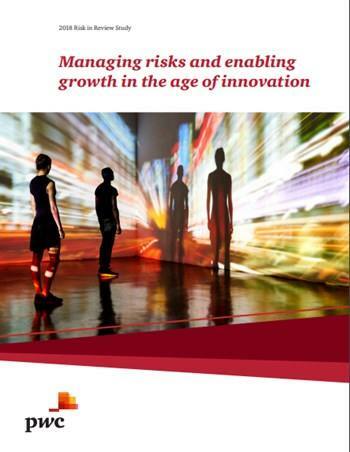 Do you have a background in risk management, internal control and/or compliance in the commercial sector, and do you also have strong opinions about and a deep interest in the opportunities that digitalisation and emerging technologies can offer? Then keep reading and send us your CV and a persuasive cover letter. We support our clients in achieving their operational targets by taking their strategy as our starting point. We help them to identify risks that represent a threat or even an opportunity to achieve their strategic targets and advise on how best to manage/exploit them. We often go on to assist them as they implement the relevant plans. Many of these clients are organisations in transition, for example because they are gearing up for an IPO, are experiencing very rapid growth, have undergone a merger, or because their stakeholders’ expectations have changed. You have completed a Master’s programme, preferably in Business Economics, Business Science, (Financial) Economics, or (Business) IT. A secondary qualification in Law and/or completion of a post-graduate programme (ERM / RO / RC / RE / Compliance) is an advantage. You have an affinity for enterprise, operational or information risk management and/or for internal control. You have approximately 3 to 7 years of experience in the commercial sector working at the interface of strategy execution and risk management. You enjoy the challenge of using your practical and creative skills to analyse and resolve new issues in environments in which technology plays a decisive role. You are innovative and enterprising and you are eager to make an active contribution to digitalisation and the utilisation of emerging technologies such as data analytics and robotics. You are a team player, social, ambitious, highly motivated to continue learning, and have excellent written and oral communication skills. You have an excellent command of Dutch and English; command of German is an advantage. You are at your best in an international work setting and you are prepared to work abroad. Right from the start, you will spend much of your time as a Senior Associate Risk Consulting working on the premises of prestigious (and international) firms. You will help our clients manage their strategy implementation and the many challenges that this entails. You will do this by integrating risk and performance management, by embedding risk management in the client’s planning and control cycle, or by encouraging a culture of ethical and risk awareness, for example. 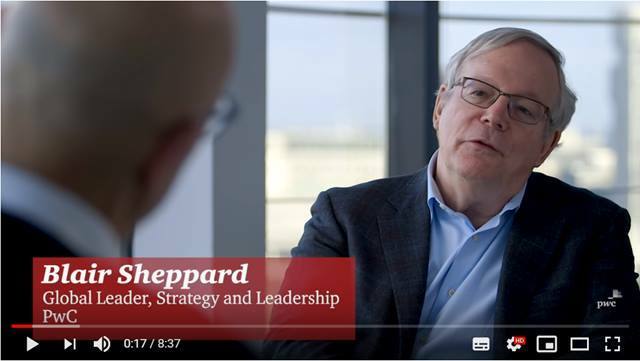 Technology, innovation and change management logically play an important role in your work. You enjoy the challenge of building on innovative ideas, concept and solutions and you know how to leverage these to get results. You are capable of working relatively independently and you are eager to gain experience managing projects on your own. Because our advisory projects are often multidisciplinary in nature, we have developed an extensive network of specialists, both internal and external. We work with teams on projects in a challenging environment in which significant changes occur on a daily basis. In addition to working directly for our clients, you will be actively involved in business development, in writing (professional) articles, and in organising client meetings about the discipline and its future. You will also build a network within PwC and gain experience working across the multiple disciplines that make up our services. You will work continuously to improve your professional knowledge and advisory skills. Your career is exactly that: yours. You make the decisions. We offer you opportunities. The opportunity to do work that matters. To get the best out of yourself. To help build trust in society and solve important problems. We’ll coach you every step of the way, but give you plenty of room to pursue your ambitions and make your own choices. Your job will be varied and you’ll work with prestigious clients. You’ll have access to a worldwide network and share your expertise, ideas and questions with the best professionals in your field and in other disciplines. You’ll be appreciated for who you are – and for what you do in an inspiring, inclusive, respectful and supportive work setting. We run a structured programme that offers you the option of participating in Corporate Responsibility projects with a clear impact on society. 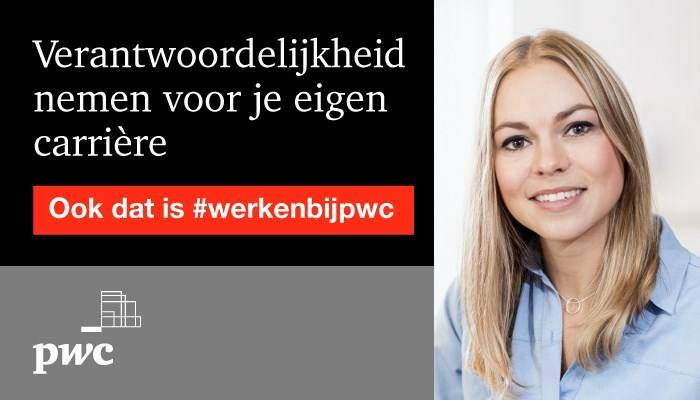 Please send your application for Senior Consultant Risk & Compliance Commercial Sector at PwC in Amsterdam including your CV via our website.